Whether you worked for The Tatooine Greater Planet Chamber of Commerce or The Hoth Convention and Visitors Bureau, your days would still likely be filled with issues that challenge your organization. can be even stronger than the Force. 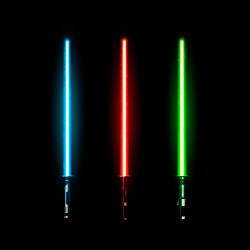 On the eve of the opening of “The Last Jedi,” we encourage our chamber friends to take a moment to reflect on the life lessons from some of our favorite Star Wars films. And of course, from the ChamberMaster team to all of our chamber friends, "May The Force Be With You." ​Learn to deal with the Vaders in your own life.